"...[Gregory's] arabesque lines of the paintings and the dynamic positive and negative shapes call to mind Islamic calligraphy and images of whirling dervishes. 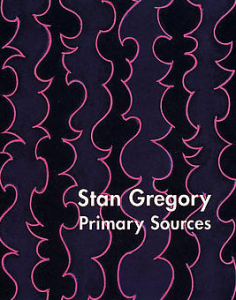 The paintings are joyful and both the lines and the colors have a lot of movement and energy..."
"Stan Gregory[s] . . . work has been associated with the likes of Kandinsky and Matisse . . . [He] evokes the style of Islamic calligraphic art"